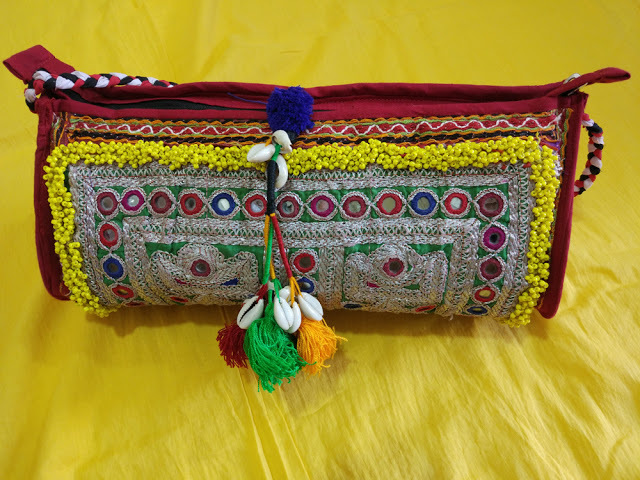 World over, Kutch is known for an exquisite variety of traditional embroidery, weaving, colorful patchwork, block-printing & bandhani (tie & dye) form of arts. 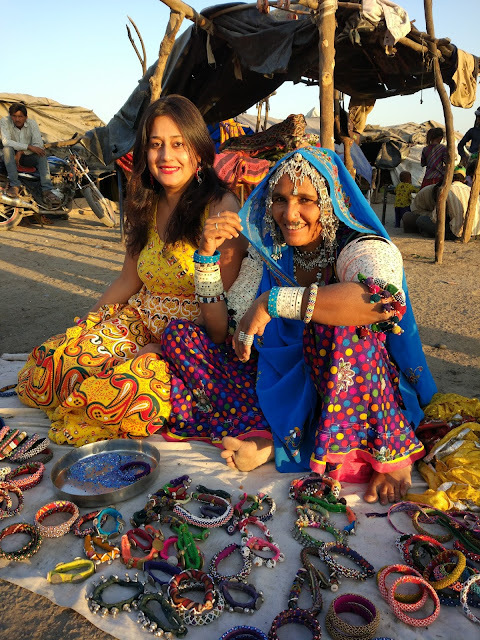 Kutch has a wealth of crafts not only in textiles but other art forms too.The untouched white landscape offers a great background for adding color to the daily lives with well known art forms like rogan art, lacquer work, terracotta pottery, wood carving, leather & metal crafts. Mud & mirror work adorn traditional houses known as bhoongas & garments worn by natives tell a deeper story about the community they belong along with social & marital status. The achromatic landscape of Kutch (also known as Kachch) is dotted with communities that weave magic with their skilled hands. The challenging geographical conditions have ingrained a manner of resourcefulness in the rural communities that inhabit Kutch, one of the biggest districts in India. Many traditional crafts evolved through necessity. 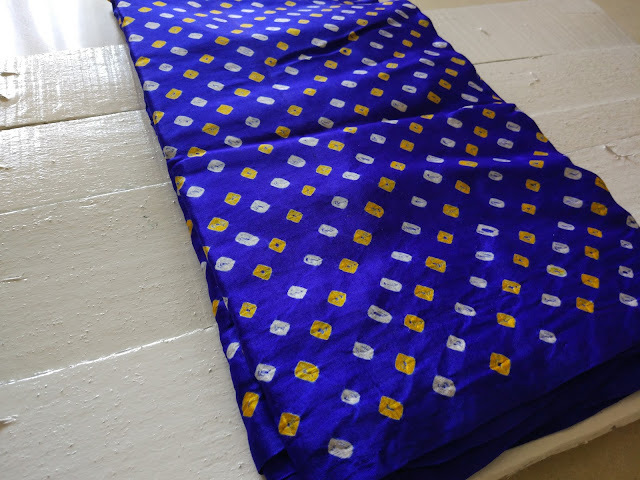 Exquisite weaves & crafts found in Kutch are symbols of the rich & diverse creative traditions of Kutch. Look closely & one finds significant instances of interwoven cultures & communities that reflect in the traditional arts & crafts of Kutch. The many tribal communities that reside in Kutch have migrated from Pakistan, Afghanistan, Turkey, Russia, Iran & other areas in Middle East & Central Asia. The various communities found across different villages perform magic with nimble fingers- whether its the art of weaving, patchwork, tie & dye or more. Each community has its own lexicon of motifs & style of embroidery. 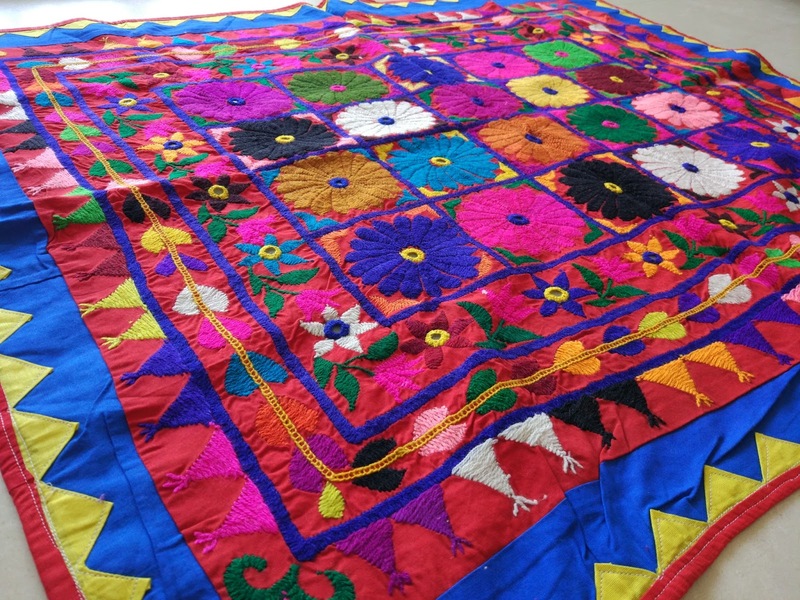 Lets look at some of the arts & crafts found in Kutch that surely will win your heart. Embroidery-Traditionally women learnt the art of embroidery at an early age to prepare items for their dowry. The art that probably dates back to centuries & passed from generation to generation taught girls to hand embroider items of clothing, door torans (hangings) & other items of daily use with distinct stitches. Skilled stitches embellished with beads, mirror & other ornate items are done on cotton or silk cloth. Some communities embroider beautiful motifs inspired by Persian & Mughal arts. The art of embroidery has gained popularity over the years & now holds worldwide appeal. The art that started as a hobby for domestic use now has become an quintessential medium of income. 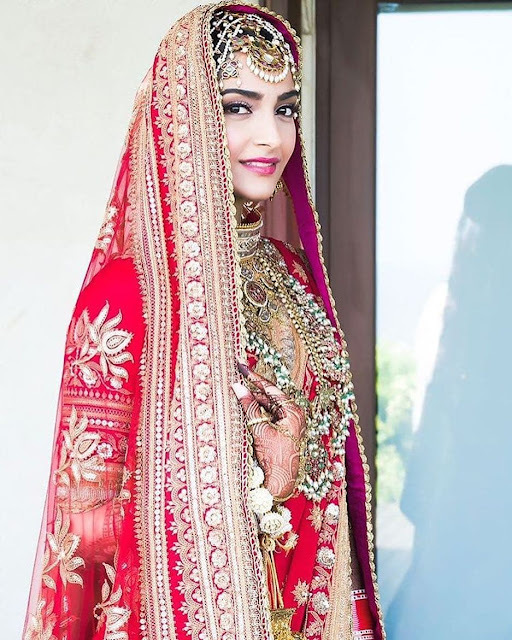 The popular forms of embroidery belong to Rabari, Jat, Ahir & Soof communities. Block printing- Skilled indigo- tinted nimble fingers practiced the art of block printing (especially the Ajrakh block printing style) in the village of Dhamadka for many years till the devastating earthquake uprooted their lives. Many communities like Rabari & Ahirs wear Ajrakh printed clothes & gift such clothes on special occasions. Following the earthquake, many artisans moved & settled in Ajrakhpur where they practice the art presently. Wooden blocks are used to create intricate patterns on clothes dyes in indigo (or other colors like mustard yellow/green). The art form that originated many years ago when Muslim Khatris settled in Dhamadka is now kept alive by few artisans. Tie & Dye- The art of tie & dye also known as Bandhani in Kutch is practised by artisans with local available resources. Explained simply, this technique calls for winding a thread around a section of cloth (cotton or silk), dyeing it & removing the thread to reveal patterns & motifs on the cloth. Practiced widely by the Khatri community, Bandhani has featured on international runways & sustained the demands of the changing markets. A beautiful bandhani saree from Kutch. Leather art- It is said that the leather from Kutch is so well treated that it can hold water & has been used to make water jugs, shoes, water bottles & more. The art of leather craft was introduced by the Dalit Meghwals of Rajasthan who joined hands with Maldhari community. The craft is labor intensive & at present struggles from challenges like lack of raw material, labor shortage & rising raw material prices. Weaving- Though there are many weavers spread across Kutch, primarily the art was practiced by Marwada & Maheshwari communities. Weavers craft wooven textiles using cotton, wool obtained from sheep & camel. There is a huge demand for textiles woven with camel wool for its natural colors & durability. Another known form- Mashroo weaving was traditionally practiced for Muslim communities. The community believed that silk should not touch the body & hence weavers mixed cotton & silk threads to create a unqiue textile that had cotton on one side & silk on another. 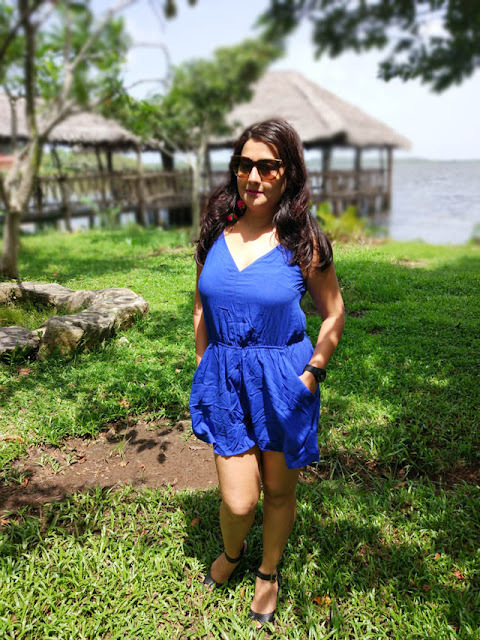 We have touched upon a few art forms in this blog, there are many other forms like wood carving, silver work, rogan painting that are practiced by skilled artisans. Arts & crafts are an important part of communities in Kutch that have survived many changes and provides this land color & an unique identity.